But a few days before her historic Oscar win (for the first movie she's ever been in!) 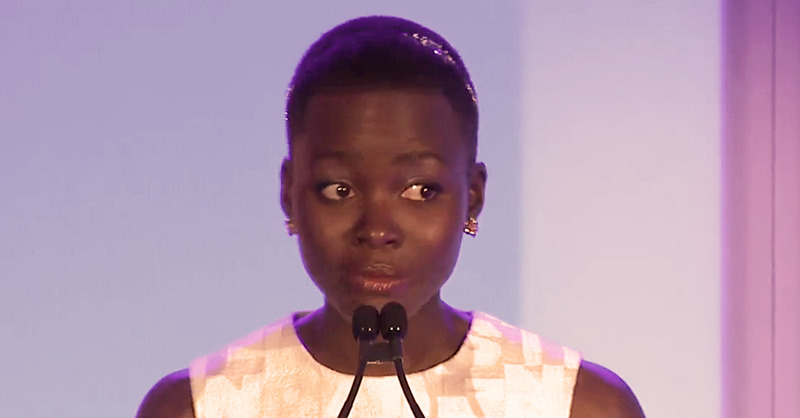 Lupita accepted an award for Best Breakthrough Performance at the seventh annual Black Women in Hollywood Luncheon hosted by Essence magazine. It was there she delivered a speech on beauty that every little girl should hear. Share this (if you think she is an inspiration, like I do, or if you just like what she had to say).